When you run the EM FMW Control for the Integrated WLS, you can find out about the file system location for the integrated run time MDS. Click on the node Metadata Repositores | mds-soa. 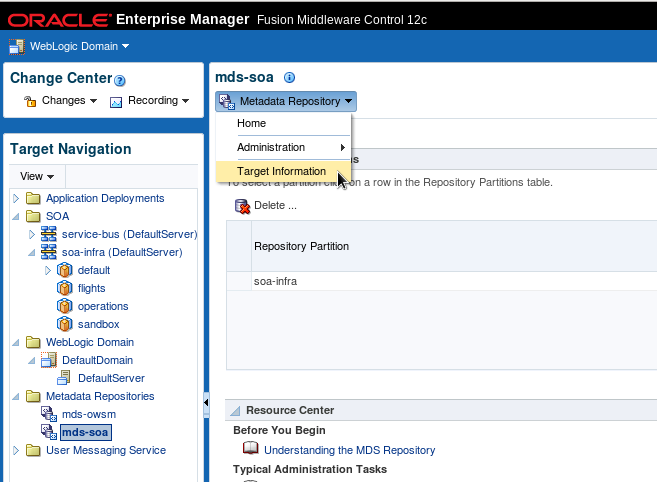 From the drop down menu on top of the right hand side of the page (under mds-soa), select option Target Information. 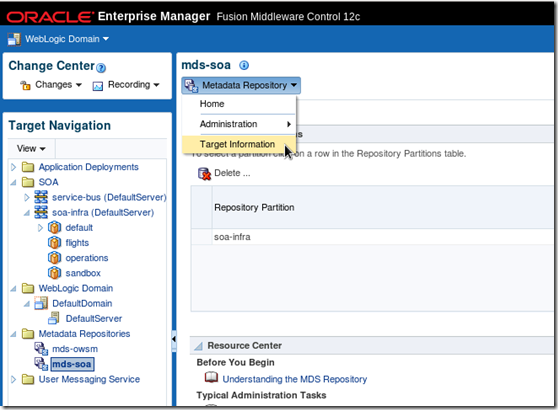 A popup appears that shows the file system location for the mds-soa instance. In JDeveloper, open the Resources window. 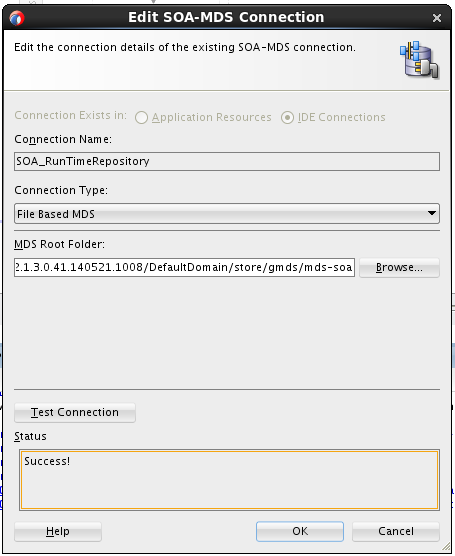 Open the context menu for node IDE Connections | SOA-MDS and select New SOA-MDS Connection. Provide a name, select File Based MDS as the connection type and specify the directory from the Target information popup as MDS Root Folder. 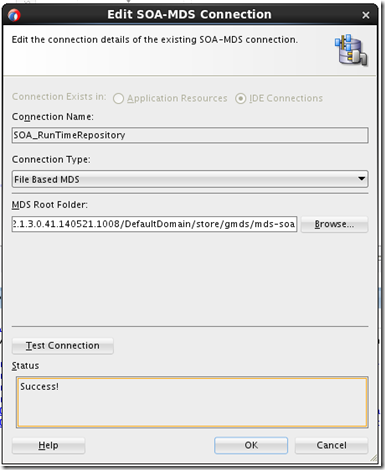 Test the connection and on success, click on OK.
You can open resources from the SOA Runtime MDS connection and export from this connection. Dit bericht werd geplaatst in SOA Suite 12c en getagged design time,integrated wls,mds,soa suite 12c door Lucas Jellema . Bookmark de permalink . Quick question: You should always put SOA BPEL common artifacts(XSD, WSDL) under /apps folder or whether it is OK to create a different folder structure parallel to /apps? whether this will work? Your resources have to be under /apps in order to be found. A parallel structure next to /apps will not be picked up.